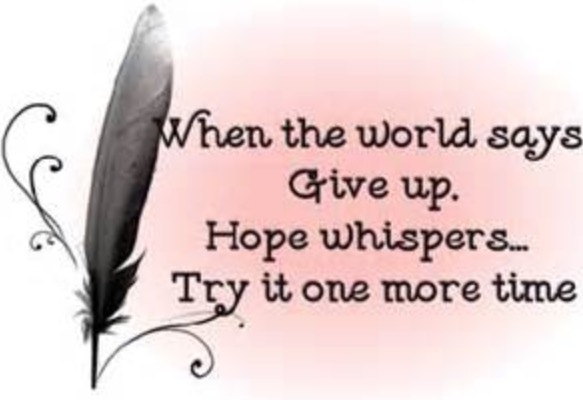 A Thought: Hope can seem elusive when we need it the most. I’m sure Jesus resisted the temptation of losing hope in humanity over and over again. Probably still does. Yet, His LOVE is what strengthened Him from losing hope in us, then and now. LOVE does that for HOPE. We can always hope, through our love, that someone (perhaps ourselves) will improve and heal from their issues. God hopes each day His children will heal themselves through obedient love. While God wants us to be wise against false hope, God wants us to follow Christ’s example of mercy. May the Lord strengthen you and me for that purpose.